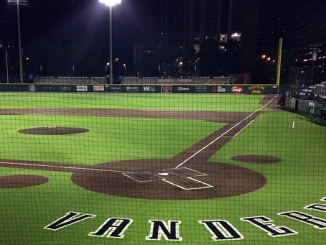 NASHVILLE, Tenn. (VUAD)– Right-hander Mason Hickman held Lipscomb hitless until the sixth and right fielder JJ Bleday crushed two home runs as No. 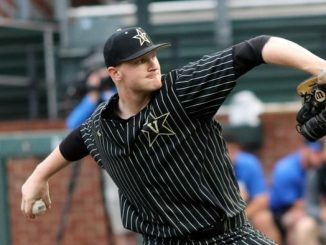 6 Vanderbilt cruised to a 15-1 victory on Tuesday night at First Tennessee Park. 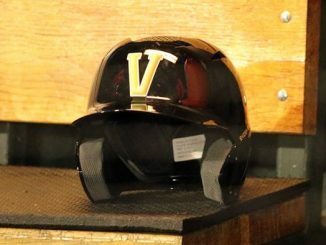 The win was Vanderbilt’s fifth consecutive and moved the Dores to 20-5 on the season. 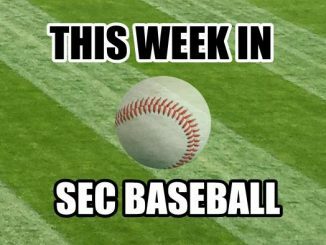 The loss dropped Lipscomb to 11-12 and pushed the Bisons’ losing streak to four games. 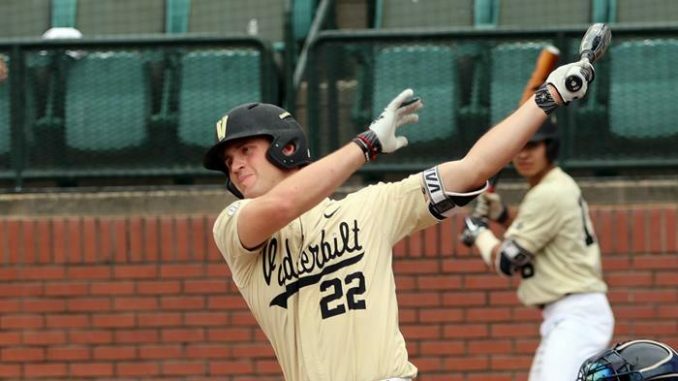 Vandy has scored 10-plus runs 11 times including eight during March. Hickman (3-0) permitted just an infield single while striking out eight in six innings. 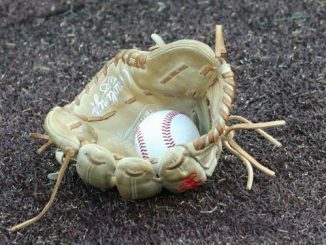 The righty had retired 12 consecutive batters before nine-hole batter Chaz Bertolani hit a dribbler to the left side. 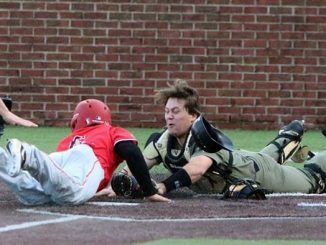 Austin Martin and Ethan Paul collided in an attempt to make the play. 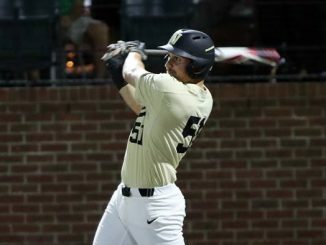 Bleday recorded his first multi-home run game, clubbing a three-run homer to start the scoring in the third and depositing a two-run homer into the right-field Band Box in the seventh. First baseman Julian Infante drilled his first homer in 44 at-bats, launching a solo dinger into the left field bleachers. 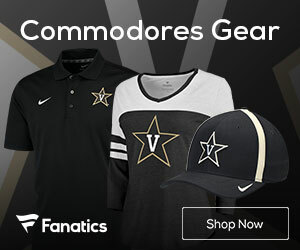 Eight Commodores logged a hit including Paul who collected his team-leading 13th multi-hit game of the season. The senior finished 3-for-5 with two runs and as many RBIs. Bleday drove in a season-high five runs and matched Paul with his team-high ninth multi-RBI performance. 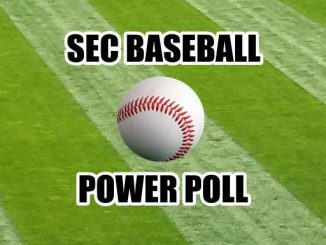 Lipscomb starter Scott Elgin (1-1) lasted just 2.2 innings, permitting two hits and four runs while walking three. 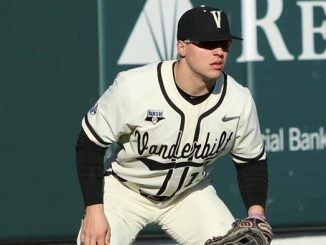 The Bisons allowed 10 walks as a pitching staff including three to nine-hole hitter Kiambu Fentress and a pair to Infante. 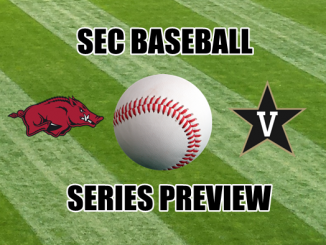 Vanderbilt returns to action on Friday, opening a three-game series against Tennessee at 6:30 p.m. Saturday’s middle game is scheduled for 8 p.m. and Sunday’s finale will get underway at 2 p.m. 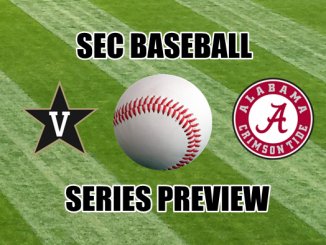 The final two games are set to air on the SEC Network.